I am fascinated by the interplay of light and color that I see in the beauty surrounding me and I work to capture the mood of those special moments in my paintings. I choose to paint with soft pastel for the incredible richness and intensity of the color possibilities and textures I can create with them. 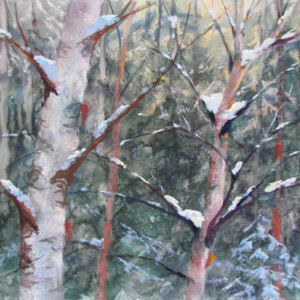 I am primarily an outdoor painter and pastel’s direct application allows for the immediacy demanded in plein air work. I often use a watercolor underpainting as a setup for the pastel layers in my work, which adds the interplay of transparent and opaque mediums to the visual quality of the final piece. I can be found painting all around town and far beyond. Lisa Stauffer received her Master’s in Design (University Of Minnesota, Minneapolis) and studied Illustration at Parson’s School of Design (NYC). She continues her education by taking workshops from nationally recognized painters whose work inspires her. She has worked and taught in a wide variety of media, now primarily painting in soft pastel with a special focus on painting en plein air to indulge her fascination with light and color in Minnesota’s beautiful north shore landscape. 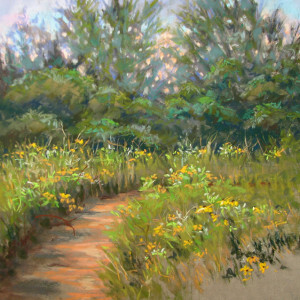 Lisa was awarded Master Circle status by the International Association Of Pastel Societies in 2011. She was awarded the H.K. Holbein Award at the Pastel Society Of America Show at the National Arts Club in New York City, September 2010 and the Pastel Painters Of Cape Cod Award in 2012. 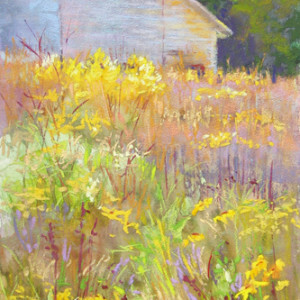 Each of these years her painting was one of those chosen by the Director of the Butler Institute Of American Art, Youngstown, Ohio, to travel to the exhibit American Pastels in the museum Dec-Jan. Lisa was juried into the Pastel Society Of America and awarded Signature status in 2012.